It's that time of year for creating something unique for my son's birthday card. Being born on Christmas Day, it's a challenge to make sure he gets special birthday attention. This card should make him feel all warm and fuzzy inside. This time, I went with an outdoorsy theme. It reminds me of log cabins, walks in the woods, warm fireplaces and of course, cozy mittens. These ones are red plaid flannel. Check out all the details on my Christmas blog. 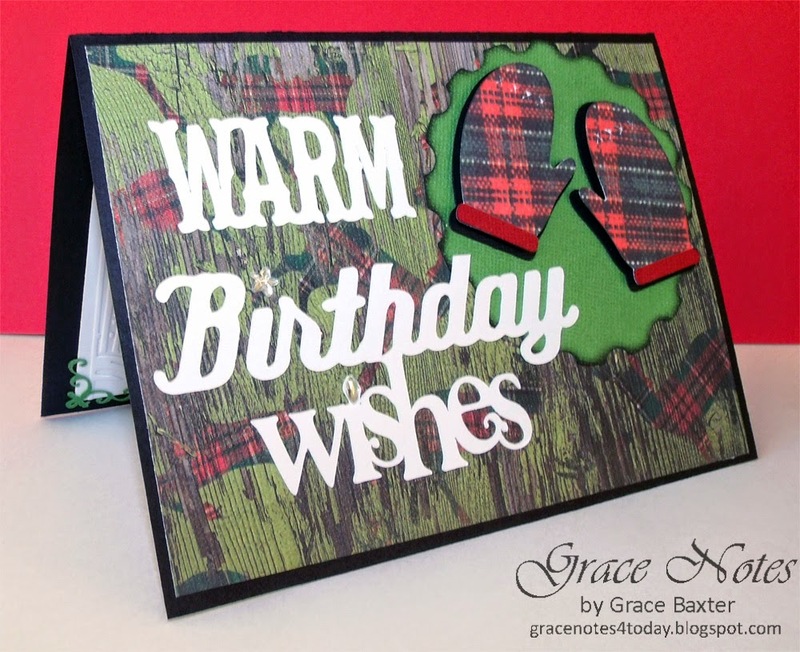 Winter Woodland - "Warm" and "Wishes"
I love your card and understand about making his birthday special. My grand daughter's birthday is December 28th and I don't want her birthday to get lost in the shuffle.